Convert Vinyl Records and Cassette Tapes to Digital Audio seems a bit old repetition in 2013. But restoring old personal recordings is still important. But unfortunately, not much updated information are available to Convert Vinyl Records and Cassette Tapes to Digital Audio or even if published in recent years, are too complex to understand because simply they are filled up with technical words with no practical gain for an average user. This guide to Convert Vinyl Records and Cassette Tapes to Digital Audio is helpful for the starters and experts alike. First, obviously you will need the Player for your Vinyl Records or Cassette Tapes. First and foremost important point is to make them working as fine as possible as possible. Like, for Cassette Tapes, we used Head Cleaning Solutions. You actually need master these parts first. There are many guides on How to Convert Vinyl Records and Cassette Tapes to Digital Audio, but as they are written solely with the intention to get more clicks, rather than helping an user, they misses the practical points – we old users know that with time a cassette’s tape collects oxidized materials and needs rewinding on both sides, running with zero volume few times, then cleaning the head. It was normal to get odd sounds as if horses are shouting with the singer, sometimes ended with tangling of the tapes. We know, but a person who used these old system only when was child, like a 16 years old person today, has less idea. So making these old hardware is the most important step. Second is to use a audio jack. We have separate articles on Audio and Video Interfaces and Connectors and connectors itself. Basically the Line out or Headphone out (it may be mono or stereo 3.5 mm Phone connector or plug) on the old Vinyl Records or Cassette player is the source of Audio which with connector will get in to your Computer’s Line in, which is usually intended for stereo 3.5 mm plug. 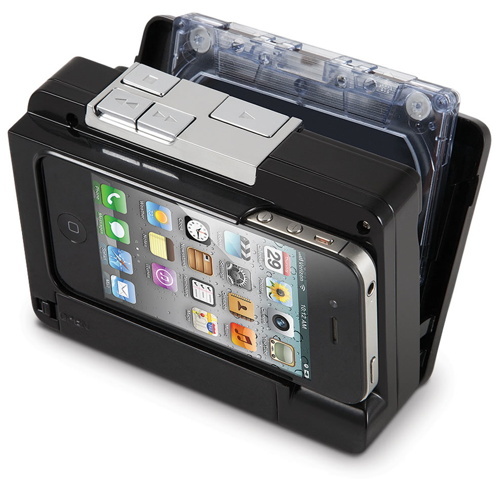 Cassette player can be just a Sony Walkman or a bigger deck. Third is a software that will record it. Sony Sound Forge is very neat software, now there is Mac Version too. It has 30 day trial with no restriction. Which is usually enough for the home users to convert few Vinyl Records or Cassette Tapes. Everyone has a basic idea how to do these. Just keep old player’s volume not more than 75% , record in a format that does not use any compression, record in Flat mode. Initial File Size will be bigger. You have add effects in Sound Forge for the best expected sound. Again and again, if the original hardware, that is the player is bad, no trick on software can make it great. There are semi professional and pro grade hardwares which does the work itself, but most home users never needs them. The image in this article is Cassette to iPod Converter, a $80 device which is better not to buy for its bad quality of sound conversion. This Article Has Been Shared 318 Times! Cite this article as: Abhishek Ghosh, "Convert Vinyl Records and Cassette Tapes to Digital Audio," in The Customize Windows, January 30, 2013, April 26, 2019, https://thecustomizewindows.com/2013/01/convert-vinyl-records-and-cassette-tapes-to-digital-audio/.